It’s not often that we see government make changes to law that results in the end of state-sanctioned protectionism. But Rep. Thomas Beadle’s (R – District 27) House Bill 1279 may do just that. After passing the House on a vote of 91-0 back in mid-February, the bill was sent to the Senate for consideration. They too amended the bill and also passed it unanimously 45-0. The House concurred with the amendments on a 91-0 vote. And now it awaits Governor Doug Burgum’s signature. We first wrote about HB 1279 back in January. 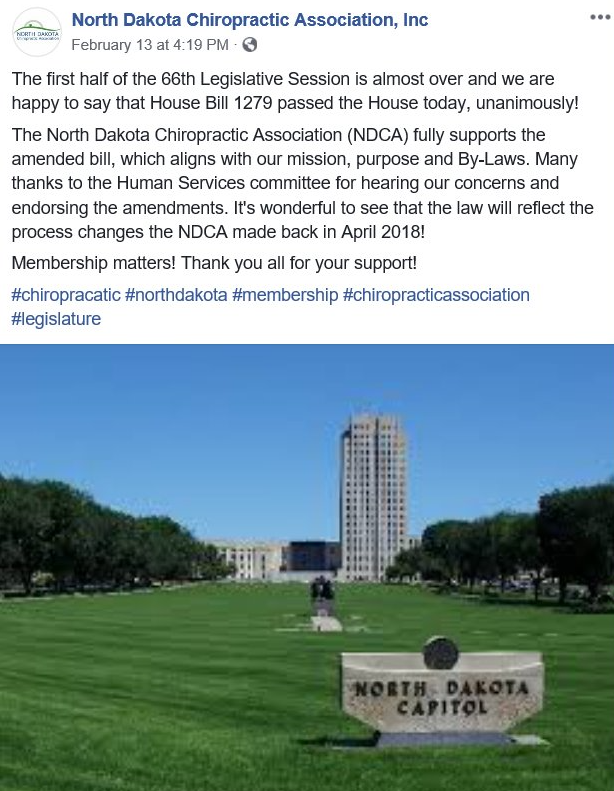 Under current law, a politically incestuous relationship exists between the North Dakota Board of Chiropractic Examiners (NDBCE) and the North Dakota Chiropractic Association (NDCA). The NDCA — and the NDCA alone — holds the authority to nominate replacements for vacancies on the state board. And therein lies the problem. 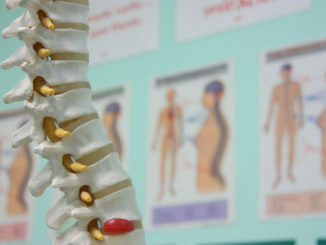 The NDCA isn’t the only private association for chiropractors in the state. In fact, the association represents less than 50% of them. Yet, every member of the state board is also a member of the NDCA. Overall, this control hasn’t been a positive experience for some chiropractors in the state. In fact, one chiropractor told me some time back that the board actually goes to the extent of dictating how chiropractors promote their practices. Things like free refrigerator magnets and water bottles — used as promotional tools — are apparently frowned upon. Even pre-paid appointments are regulated to the point of being problematic. Heck, you can’t even advertise free exams or services. Don’t believe me? Look at their administrative rules — which have the force of law — here. Removes the requirement that nominations to the board come from the NDCA. Changes the five member board to seven members by adding a “chiropractic clinical assistant” and “consumer member”. Limits board members to no more than two consecutive five-year terms. There’s no other way to describe this than a spin-zone. Check out the comments to the post here. The NDCA never did respond to those who called them out for their apparent flip-flop. In fact, one of those commenting actually posted audio of the NDCA’s opposition testimony. But hey, let’s give them credit for finally embracing the obvious changes that needed to be made— even if they did oppose them in the beginning. I’m not a fan of regulatory boards like this in the first place. But the fact that HB 1279 strips out the state-sanctioned protectionism that has existed for decades is a good thing in my mind. Hopefully Governor Burgum feels the same.